The Globe Thermocouple Attachment Unit is used for attaching thermocouple wire to the work piece for accurate monitoring and recording of the work piece temperature. The unit is housed in a stainless steel chassis with a convenient tool storage compartment and comes complete with a shoulder strap. It has a membrane panel to reduce unwanted ingress of dust and moisture and a high efficiency converter for extended time between battery recharge, we estimate several hundred uses before recharge is required. 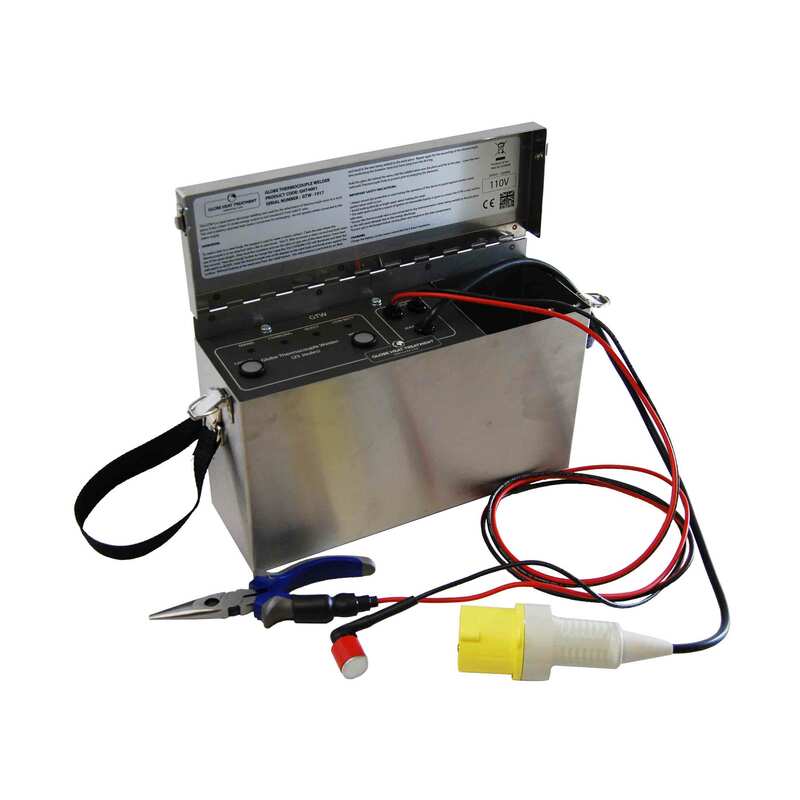 The Globe Thermocouple Welder Unit also features a recharging necessity shown by ‘Low Battery’ LED, the mains LED shows when the battery is on charge. The unit is supplied with a magnet, pliers and a mains charging lead.